According to the Williams Institute, approximately 40% of homeless youth in the United States are LGBTQ+. 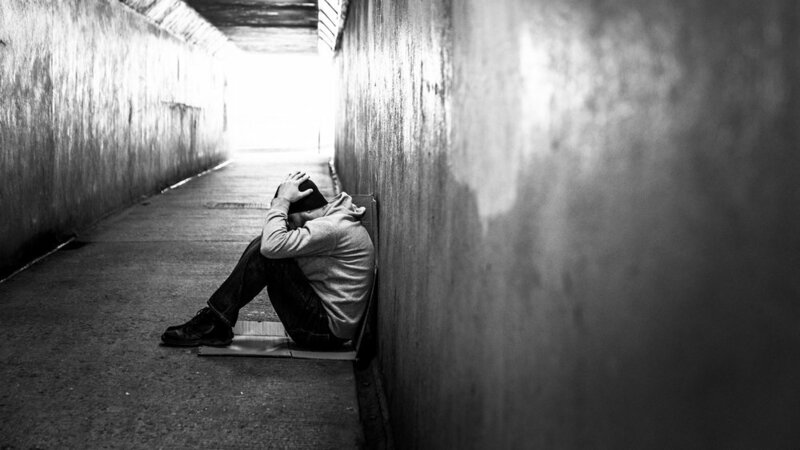 Almost half of the homeless youth in our country are LGBTQ+. Many are experiencing homelessness specifically because of their gender and sexuality. As soon as these youth are on the streets, they are at a much higher risk for sexual exploitation and trafficking due to their sexuality and gender. While statistics help us in many ways, they do not tell the whole story. There are real stories behind the statistics—stories of real people, and in the stories of those real people are stories of us all. I work with youth at a church in Minneapolis, however, I recently got to know one youth who is not a part of my church community, but he does have a story rooted in the church, much like many of our stories are. Martez grew up a devout Christian in Minneapolis. He has a passion for singing, so he went to church every week to sing in the church choir. This gave him life. Growing up in a conservative church, he’d learned to be uncomfortable with LGBTQ+ people. This made it all the more difficult for him as he began opening himself up to who he was. As he began to be more open about being an LGBTQ+ person, Martez began to feel judgment from the very people with whom he loved to sing. Martez had nowhere else to turn and was determined that the judgment of some would not deter him from coming to the place he loved. With the support of his loving mother, Martez continued to attend his church every Sunday and immerse himself in the music. For Martez, the joy of singing in the church choir washed away even the judgment he was receiving from the very people with whom he was singing. Martez is just like every youth. He loves singing, having discussions, achieving his goals. He also hopes to have a family someday. He also happens to have experienced homelessness like many other LGBTQ+ youth. While many of us have not experienced homelessness, we all have experienced being a youth—singing in the shower, having deep conversations with our friends, and hoping someday to have a family. Like the characters in The Breakfast Club, as we get to truly know fellow human beings, we began to find we share common stories. Many homeless LGBTQ+ youth go unnoticed in our country and most certainly do not have a platform to share their story. Engage in the story of a homeless LGBTQ+ youth through the talking-over-coffee platform, and at the end of your conversation, you’ll find that youth is you. Homeless LGBTQ youth are us.